1. Bought your ticket to Of Rhythm and Rapture, QPF’s opening night extravaganza featuring Sandra Thibodeaux, Sawako Nakayasu, the 2011 Arts QLD P0et-in-Residence, Jacob Polley and acclaimed singer-songwriter-poet, Kate Fagan. 2. Caught up on your sleep (you are going to need it). 3. Got a copy of the program and started planning your festival experience. 4. 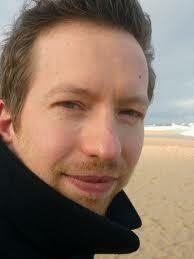 Read this interview with Tim Sinclair! I believe you have recently completed work on a new collection of poetry, re:reading the dictionary. I remember many days lying on the lounge room floor, flicking through the flimsy pages of my parents extremely large Websters and marvelling at the sheer volume of words that danced inside it, so the idea of a collection devoted to some of the words that may be facing extinction in the common vernacular excites me greatly. How did you go about writing, researching and putting together the collection? I like how you say ‘research’ like it was something I consciously entered into! Makes me sound so studious and purposeful. The reality, of course, is a lot closer to what you describe. The lounge room floor approach – a lifelong serendipitous rummage in that ever-entertaining book, the dictionary. The Dictionary, with a capital D; The Book. The archetype, the blueprint, the begetter of all that’s begat, because, as has been pointed out before, between its covers it contains every single book ever written, and every single book that’s yet to be written. All you need to do is figure out the order to arrange those words in. Guess that’s what poets and authors and anyone who works with words are constantly striving to do. Just trying to find the right order. Breakfast used to be hand illuminated. Newspapers were bard shaped, speech bubbles had punctuation, and everyone spoke in copperplate. Our tea poured with the sound of a waterfall, brass knobs were mandatory, everything was cranked by hand, and the dancing, when it happened, happened in the streets. We bathed in ink and rolled on vellum sheets, our retinas scanned with a seer’s crystal ball. It all came to pass in the days foretold, before the ones and zeroes scuttled into our lives. Behold. Poetry seems to be the art of suspending a decision, of creating something that doesn’t quite commit to making complete sense, but rather rings or resonates with the truth of complex, lived experience and feeling. In a novel, you write something that, in the very writing, demands that decisions be made about characters and events, about plot. So I wanted to ask you, is it a completely different headspace you need to occupy when working on your verse novel? The simple answer is yes. The longer answer, of course, is yes and no. This one I actually plotted out quite thoroughly beforehand, so I had a very definite structure I was working towards. The beauty of that, of course, and this relates to what Jacob Polley is saying above, is that in some ways, I had made all those decisions beforehand. So when it came to the actual writing, I was freed up to discover all the bits I hadn’t thought of, all the happenstance that occurs when you pull away from control and find out what it is you don’t know you don’t know. It’s kind of like the best travel plans, I guess. It’s nice to know what city you’ll be staying in tomorrow night, but to have just that amount of structure gives you this glorious freedom to wander the streets randomly all day before you walk into your hotel in the evening. You also recorded an album, Brothers of the Head back in 2004 which is an absolute trip! As a fellow poet/drummer, I wanted to ask whether you had any plans to head back into the studio and continue your sonic exploration? No immediate plans, unfortunately. Most of my sonic exploration these days is language-based. Or tapping on the desk and driving people crazy… It’s definitely something I’m going to get back to one day though. I love what music lets you do; what it does to you. It’s so immediate, so visceral. So outside of rational thought. Weirdly though, and as you’d know well, there’s nothing more mathematical and structured and precise than drumming – literally cutting time up into eighth notes and sixteenth notes – but within that extreme structure is the possibility for such fluidity. It’s something you can’t think about too much, because to the conscious mind it’s a paradox. But it makes perfect sense to the non-conscious mind. To that part that all of us connect to instantly when we sink into a good groove. You have been part of the QLD Poetry Festival family before in 2008. What is it about the festival that makes it stand out from the pack and what are you most looking forward to about your return visit? I love this Festival for its diversity, its delight, its inclusiveness, its surprises. I’m looking forward to all of that, and then some! Alphabet as Architecture, 1:30pm Shopfront Space, Judith Wright Centre of Contemporary Arts. Entry is Free. Onwards to Infinity, 7:00pm Theatre Space, Judith Wright Centre of Contemporary Arts. Entry is Free. 2010 has been a big year for books… it has been wonderful to read through everyone’s ‘poetry picks’ as it has lead this Lost Shark into some new waters. I want to thank everyone who participated in this blog series and to everyone who visits Another Lost Shark either regularly or sporadically. Your support means alot and keeps the belly fired. So as this year runs out of steam, let’s have a look at one last book… let’s see which book Tim Sinclair has pulled off the shelf as his ‘book of the year’. Not being a reviewer kind of guy. As a rule. 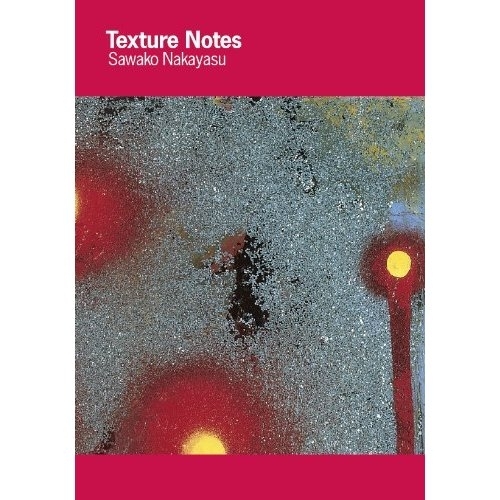 Simply here to tempt you with one of my favourite collections of 2010, by one of my favourite contemporary poets, Sawako Nakayasu: Texture Notes (Letter Machine Editions, Chicago). Nakayasu is a one of the betwixt-and-betweeners of the world. Born in Japan, she has lived most of her life in the US, and now bookends her life so far by living in Tokyo. Does this make her poetry more interesting or relevant to our cross-hatched and multi-vocal world? I have no idea. All I know is that I like it. A lot. I mostly have no handholds for people when I’m trying to describe this poet’s work. I find it hard to describe because I have no idea what it’s about. A good thing, by the way. An abstract thing. A lake of textures to swim around in that somehow make sense, because they’re there. I’m impressed by poets who aren’t afraid to go where a strange diversion is taking them, and aren’t afraid to bring back news from the other side of odd. Texture Notes is slightly more concrete than Nakayasu’s other work, but decidedly no less odd. I won’t give you an excerpt, because her books are always greater than the sum of their parts. I’ll just recommend it to you. Tim Sinclair is a Sydney-based poet and novelist. He has just completed the first draft of his second verse novel, Run, and his new collection of poetry re: reading the dictionary will be published by PressPress in 2011. One of the ideas this Lost Shark has been exploring is the line that is so often drawn between page and stage. The Page vs. Stage debate has long been part of the poetry landscape, so it has been fascinating to get an insight into the heads of artists like Hinemoana Baker, Tim Sinclair and alicia sometimes (see the posts – Speak Out: Poetry and the Spoken Word). Each of these artists continue to push the boundaries of their art and find success in both areas. Are they Perform-a-Formers? I came across this great manifesto by Thomas Sayers Ellis on the Poetry Foundation website. The manifesto states that ‘a perform–a–form occurs when the idea body and the performance body, frustrated by their own segregated aesthetic boundaries, seek crossroads with one another.’ Ellis goes on to say that ‘perform–a–formers seek a path around both academic and slam poetry; to eliminate the misconceptions between them; and to balance the professional opportunities (in publishing and employment) opened to each. 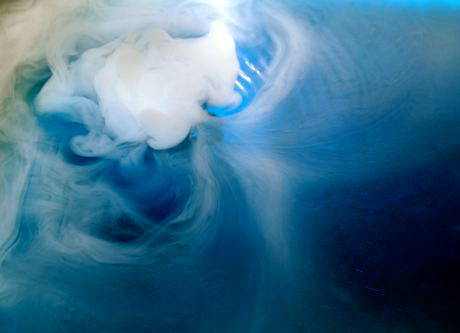 The utterance, paged or memorized, is only a schema in need of diverse modes of respiration.’ It is a really great read and one that I encourage you all to check out. Interestingly, Ellis claims Sekou Sundiata as the last great perform-a-former. So why is it that few poems published in literary journals would find an audience in the world of, performance-driven spoken word? In turn, why is it that the majority of pieces performed on open-mic/Slam stages would be ignored by established literary journals? Is there a line that separates spoken word from poetry? Hinemoana Baker’s response fascinated and enlightened, so let’s see what Tim Sinclair has got to say on the matter. As kids, before teachers started trying to teach us poetry they entrhalled us with Dr Seuss. Performance poetry? Page poetry? We didn’t know, we didn’t care. It sank straight in, and connected with our brains’ natural poetry receptors. Jump a few years forward, and you’ve suddenly got teachers teaching us poetry. It sucked. Sucked the life out of us. Drained the magic off the page. I generalise, but my introduction to Capital ‘P’ page poetry was as a dull, ossified, arcane branch of literary AllBran – high in the daily allowance of moral fibre and guaranteed to well and truly give you the shits. Like a lot of my contemporaries (and like the people ten years either side of me, I’ve come to realise), I retreated to rock and hip hop, where the end rhymes satisfied my starving poetry receptors, and the need to find something cooler than school was satisfied. The transition from Dr Seuss to Dr Dre was made, and from that gateway drug it was a short and slippery slide into performance poetry. It’s the cool factor that’s driven the wedge through Poetry, and both sides have exploited it to further their cause. But I’m not looking at the dividing line here, I’m exploring the contiuum. I’ve always been interested in the big grey area in the middle of things. Grey is where the colour happens. I ‘came of age’ in the Adelaide poetry scene in the ‘90s, and I’m glad that’s where it happened. The scene was diverse (still is, by all accounts), and one of the absolute strengths of a place the size of Adelaide is the fact that there’s just no room for cliques. Or more realistically, there’s just no room for those cliques to be exclusive. To be part of a scene in a small town is to be constantly rubbing shoulders with the other cliques, and rubbing up close is where cross-pollination occurs. Presentation may in fact be the single most important signifier of genre, as shallow and simplistic as that sounds. Here is my cover, say the poets. Judge me. We all do it. We all know it’s done. The smart people exploit it. I know it’s kinda po-mo and relativist of me, but I think that this is what it all comes down to. Performance poetry is in the eye/ear/face of the beholder, and page poetry sits quietly, waiting to discover you. But the stuff in the middle is the elusive gold, and the stuff in the middle is what bothers people. It’s the reason for all this ‘Page Vs Stage’ carry on. I like to use the lyrics/poetry parallel. I love what you can do with song lyrics. I love that Kurt Cobain can scream, and that scream is not inarticulate – saying more than half a book of poetry. It ain’t poetry though. And set all the poetry you like to music, it’s still poetry set to music. But there are those people in the middle. Laurie Anderson, perhaps. Nick Cave, perhaps. Leonard Cohen, perhaps. It’s all going to depend on your point of view, of course, and that’s about as close as I’m going to get towards a definitive answer here. People do ‘cross over’, and as long as they’re smart about rebranding themselves, the audience can take it. Audience likes to know what it’s getting, that’s all. Audience is simple like that. I ought to know – most of the time, I’m in it. lived most of his life in the Adelaide Hills, Australia watching semi-rural give way to suburban in a sad and inevitable way. also lived in Japan, Scotland, Malaysia, and the USA. And the Blue Mountains of NSW, and now Sydney. gone to school, gone to uni, got himself some pieces of paper. Answered phones, built sets, sold things, read words, written words, cut down (feral) trees, pumped petrol, planted trees, painted roofs and taught ESL in order to pay the rent. friends who have put his words on CD, made his words into arty films, put his words on stage, put his words online. strangers who have published his words, broadcast his words, listened to his words in cafes and pubs. Given him money to write more of them. not sure that he agrees with Fernando Pessoa when he writes “Every spoken word double-crosses us”. But knows where he’s coming from, some days.